Martine McCutcheon shows off her brand new haircut as she gets the chop. 2. Martine McCutcheon shows off her brand new haircut as she gets the chop. 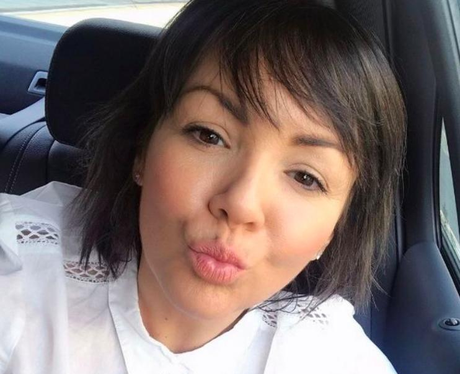 Martine McCutcheon shocked fans by posting a selfie that showed off her brand new pixie cut. The new hairstyle came as a shock for fans who have been used to seeing the 'Love Actually' star with tumbling raven locks. She captioned the pouty shot: "A little good morning smacker from me today! On my way to see the lovely @loosewomen "